Normal Heart Rhythm Causes How Important Are PACs? Premature atrial complexes, or PACs, are “extra” heartbeats that arise within the atria of the heart. PACs are the most common variety of cardiac arrhythmia. In fact, PACs are so common that most people will have them occasionally. The normal heart rhythm is controlled by a tiny structure called the sinus node, which is located near the top of the heart's right atrium. The sinus node generates the electrical signal that initiates the heartbeat and controls the heart rate. Typically, the sinus node "discharges" these electrical impulses between 50 and 90 times per minute at rest. When a person's heart rhythm is being controlled by the sinus node in this normal fashion, doctors often call it "normal sinus rhythm." PACs are early (that is, premature) electrical impulses that are generated within the cardiac atria, but not from the sinus node. 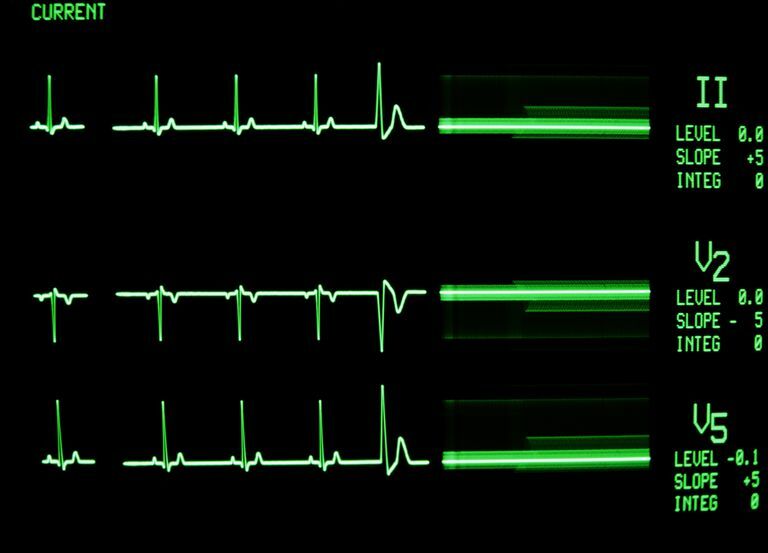 PACs momentarily interrupt the normal sinus rhythm by inserting an "extra" heartbeat. Because a PAC can “reset” the sinus node, there is usually a short pause before the next normal heartbeat occurs. So PACs are often perceived as a “skip” in the heartbeat. If you have been told you have PACs, you can rest assured that you are in the majority. Almost everyone has them. In one study of over 1700 healthy adults, 99 percent had at least one PAC in 24 hours of cardiac monitoring. PACs generally have very little medical significance, and are viewed (appropriately) by most doctors as a variation of "normal." However, in recent years, doctors have learned that PACs may be important in people who have episodes of atrial fibrillation. In some people with atrial fibrillation, PACs are thought to trigger episodes of this arrhythmia. For this reason, some of the ablation procedures that are used to treat atrial fibrillation are aimed at eliminating PACs. However, it remains true that in the vast majority of people who have them, PACs have no known medical significance and pose no known risk. Fortunately, in the large majority of people, PACs do not cause any symptoms at all. Still, some people will experience palpitations, in which case they usually describe a "skipping" sensation, or an unusually strong heart beat. Experiencing palpitations with PACs is more likely after ingesting alcohol, tobacco, caffeine, or medications containing stimulants. Unless a person's PACs are thought to be triggering episodes of atrial fibrillation, it is almost never "necessary" to treat them. However, occasionally a person will experience intolerable palpitations from their PACs, and treatment will become desirable. The best way to treat PACs is to avoid the substances (alcohol, caffeine, tobacco, etc.) that seem to make symptoms worse. Rarely, the PACs are so disruptive to a person's life that it may be worth trying to suppress them. Beta blockers may help reduce symptoms of PACs in some people and are generally recommended as the first step when treatment is deemed necessary. Antiarrhythmic drugs may be effective in reducing PACs, but these drugs are often quite toxic and are not recommended for PACs unless they are causing extremely severe and intolerable symptoms. Ablating the areas of the atria that are producing PACs is now feasible, but this form of treatment is invasive and carries the risk of serious complications. Ablating PACs is virtually always reserved for those patients in whom the PACs are triggering more serious arrhythmias, such as atrial fibrillation. PACs are very common and are almost always completely benign—so unless there is a very good reason to do otherwise, by far the wisest treatment is to leave them alone. If you have PACs that are producing palpitations, have a long talk with your doctor before you agree to any treatment more aggressive than lifestyle changes. Brooks AG, Rangnekar G, Ganesan AN, et al. Characteristics of Ectopic Triggers Associated with Paroxysmal and Persistent Atrial Fibrillation: Evidence for a Changing Role. Heart Rhythm 2012; 9:1367. Chong BH, Pong V, Lam KF, et al. Frequent Premature Atrial Complexes Predict New Occurrence of Atrial Fibrillation and Adverse Cardiovascular Events. Europace 2012; 14:942. Conen D, Adam M, Roche F, et al. Premature Atrial Contractions in the General Population: Frequency and Risk Factors. Circulation 2012; 126:2302.